After expanding its trading range upwards, the EUR/USD currency pair is trying to expand it downwards. Thus, the price is forming a divergent structure. 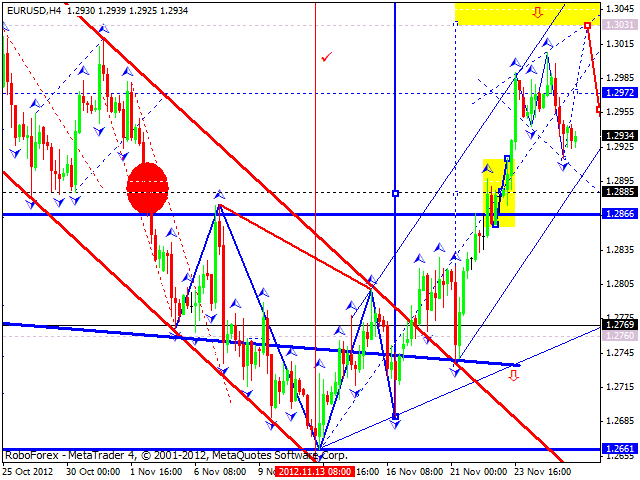 Today the pair is expected to stop falling down and start a new ascending structure with the target at 1.3030. 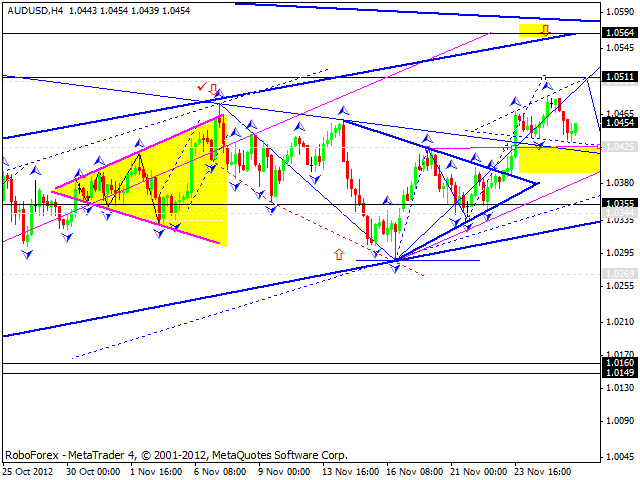 The GBP/USD currency pair made an attempt to renew its top, but couldn’t reach the target. At the moment the price is starting to form another descending wave. 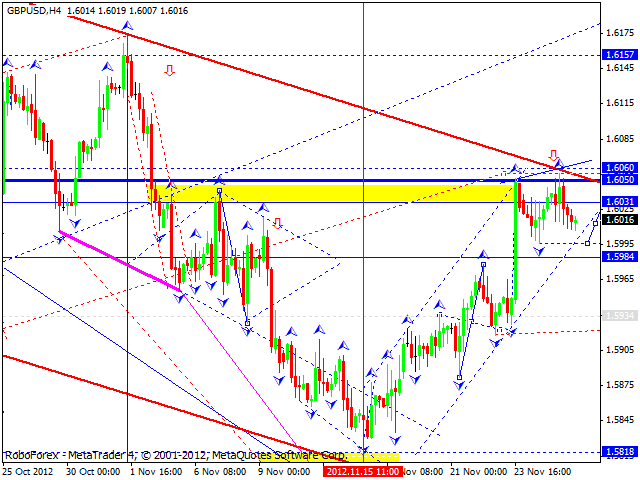 Today the pair may make one more attempt to renew the top and reach the target at 1.6060. After that we can expect the price to form a reversal structure. 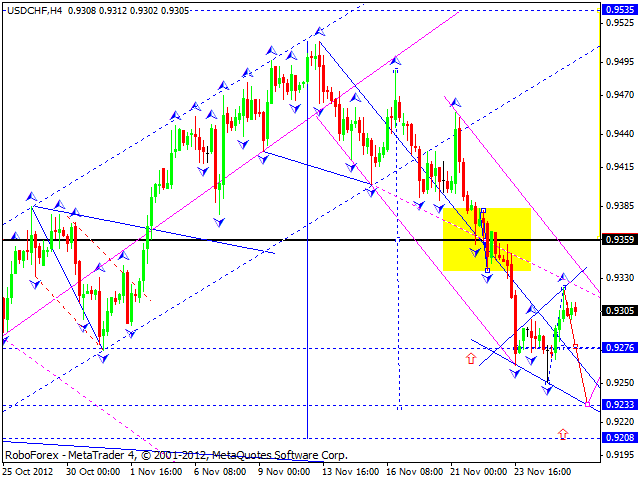 After expanding its trading range downwards, the USD/CHF currency pair is trying to expand it upwards. 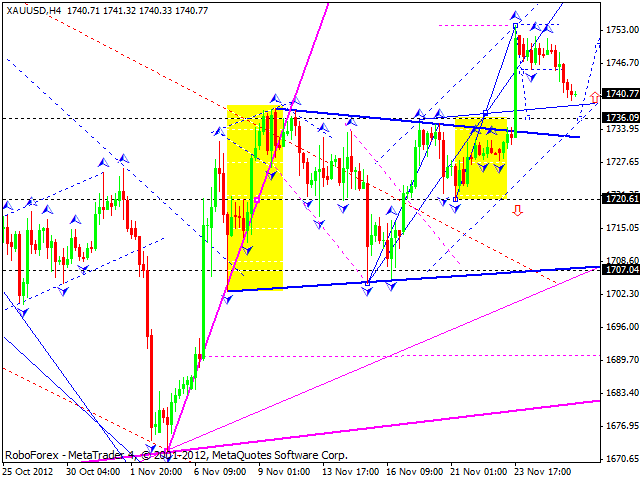 Thus, the price is forming “divergent triangle” pattern. Today the pair is expected to form one more descending structure towards the level of 0.9233. Later the pair may make a reverse. 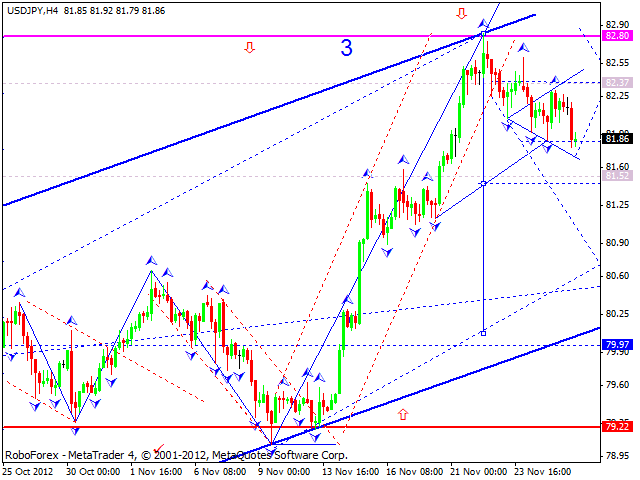 The USD/JPY currency pair hasn’t tested the level of 82.37. The structure of the price movement looks like a divergent pattern and it requires the formation of one more ascending wave. Today the price is expected to form another descending structure to break the current minimums. Australian Dollar is also forming “divergent triangle” pattern. Today the pair is expected to form one more ascending structure towards a local target at 1.0510. Later the price may start another descending structure and a correction. Gold broke its trading range downwards and continued falling down towards the level of 1736. We can see that this movement is a corrective one. After a descending movement, we can expect the instrument to start growing up towards the level of 1756.